The second annual Brown University Vascular and Interventional Radiology Symposium, hosted by The Vascular and Interventional Radiology Interest Group of Brown University with support from the Department of Diagnostic Imaging at Brown, took place on October 26, 2013. 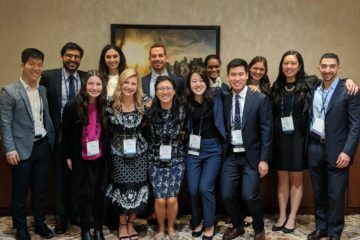 Students from across the East Coast attended for a day of lectures and panels led by the attendings, residents, and fellows of Brown University’s Department of Diagnostic Imaging. The goal of the symposium was to introduce current medical students to the innovative, minimally invasive, and clinically oriented field of interventional radiology (IR). 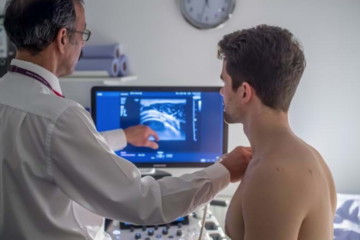 We wanted to familiarize medical students with the field of Vascular and Interventional Radiology (VIR) early in their careers, giving them more opportunities to explore the specialty before deciding on a career path. One of the biggest challenges that IR faces is a lack of familiarity amongst many medical students to the field. At Brown we recognized that in order to attract talented and interested students, we needed to incorporate more forums for students to be exposed, including a dedicated VIR interest group, an IR clinical elective, and a comprehensive daylong symposium. Highlights from the day included an hour long simulation session where students were able to watch and participate in a cow liver ablation, practice their biopsy skills on pears, and deploy stents, balloons, and catheters. Residents were around to explain how different devices worked, along with their clinical utility. 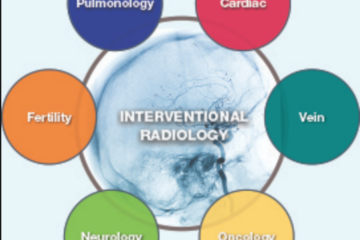 We were also fortunate to have a very comprehensive overview of the various subfields within IR, including interventional oncology, women’s health interventions, vascular interventions, and neurointerventional radiology. Talks emphasizing the clinical model of IR, along with a resident and fellows panel rounded out the day’s events. generate interest and recruit new member. For more information about the Brown VIR symposium please feel free to contact us at BrownMed.VIR@gmail.com.